Commit to training to have the endurance to run 48.6 miles in four days through Walt Disney World before I hit the big 4-0. I grew up dancing ballet, so running on a treadmill will never be as much fun as dancing Waltz of the Flowers. It just won’t. On most days, I eat like a truck driver and would much rather eat a bowl of strawberry ice cream than a Larabar. I hate that my Apple Watch will judge me when I haven’t exercised to its satisfaction by 10:00am and that it continues to lower my Move Goal every week. I am namas’cray about hot yoga, but haven’t been able to go since becoming pregnant. If there is chocolate in the house, I will eat it. The same thing goes for any ingredients that will create nachos. I can very much relate to Crab and Goyle in Harry Potter and the Chamber of Secrets: I would absolutely eat a cupcake floating in the air without even thinking twice about how shady that actually is. When it is more than 70-degrees outside, I am a drippy sweater. When it is less than 30-degrees, I am perpetually in a Joey “Could-I-Be-Wearing-Anymore-Clothes? !” situation. When there is any wind over 7-miles-per-hour, I feel like Kristoff trying to find Princess Anna on the frozen fjord. So, there are really very few opportunities that I find it pleasant to get active outside: my dogs know my serious skill at finding reasons why we shouldn’t go for walks. In my first post, I shared my experience of running the Disney Princess Half Marathon almost exactly one year ago. The 13.1 miles through the Walt Disney World property changed my life, but not nearly as much as going through the miscarriage of our first pregnancy just weeks later. In the post, I shared how running a half marathon turned out to be a very similar experience to going through the grief of losing a pregnancy. Both are very lonely experiences: just you and the journey ahead of you, just you and your emotional and physical breakdowns. 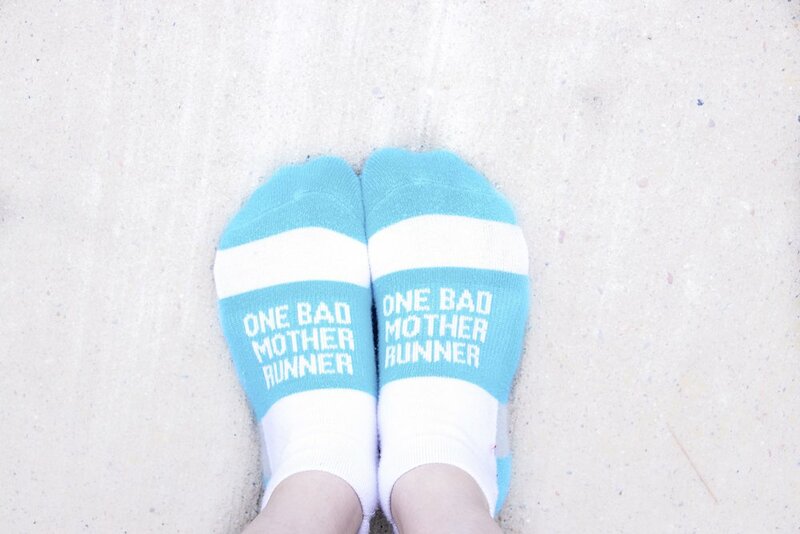 No matter the support you have from the outside you, as the runner and as the mother, have to push yourself to keep moving forward. No one can understand the exact mental and physical rollercoaster you are going through, even if they have been through it themselves. As we are finally back home safely with our girl, after nine weeks of double doctors appointments, working full-time, worrying full-time, and then ending it with a week of being in the hospital, I realized I am currently on mental half marathon. Don’t get me wrong, I am surrounded by the best and most supportive husband, family, friends, coworkers, and medical professionals. But something has to be said for the fact that no one could go to my doctors appointments for me when I just want to relax at home or go do anything else. No one could take the worry off of my shoulders trying to remember the last time I felt Lil’ D moving around or whether I’ve eaten recently. No one could take my shrinking bladder or my growing stomach for twelve hours so that I can get a full-night’s sleep in any other position other than my left side - or take on my role of pumping so that alarms weren’t waking me up every three hours. No one could help me process the avalanche of emotion I was feeling once Dagny was born, safely in the world, but apart from my. But when it really comes down to it, I wouldn’t trade all of the worry and stress and emotional breakdowns for anything in the world. My pregnancy is a time only she and I can share - a secret bond that only we will experience. Together. Mother and daughter. Our experience in the hospital was the most difficult, but also the most incredible experience of my life. I’m on mile twelve of this mental half marathon, often wondering how I’ll make it to the finish line, but I know I can get myself there. I know the mental rollercoaster I will be on now that Dagny is here will be a wild ride. Self-care is something I am an outrageous supporter of and I know that, while it isn’t advised for me to do anything high impact for the time being, I need to keep my blood moving every day in order to not completely lose my mind with worry or completely Marie Kondo my house in an attempt to have control over something. In a time when I think it will be even harder to make a commitment to taking care of myself (hello, new motherhood), I need something to have to “check-in to” every day of the week. Founders, Olympian Adam Goucher and Psychology Educator Tim Catalano (who’s Aunt I know! ), began Run the Edge with a bestselling book appropriately named Running the Edge which shares personal stories, realistic running advice, and motivation to push your own limits. Pretty soon, the dynamic duo found themselves traveling the country to speak to audiences about the powerful evolution that can occur through making a commitment to yourself and getting active. Three years later, Adam and Tim began creating fitness challenges to create communities of fitness fiends who could support one another as they each made their own individual transformation and Run the Year was born. The Run the Year 2019 challenge is as simple (and not) as it sounds: commit to moving 2019 miles in 2019 by foot. No matter if you are walking, running, or doing some combination of both, everyone who is committed to the challenge can decide for themselves which miles they want to track. For me, I’m tracking all of my walking steps made each day. once I’m cleared, I’ll pick back up on my activity level.